I strive to balance aesthetics, functionality, and quality with costs when planning DIY projects in the home and garden. 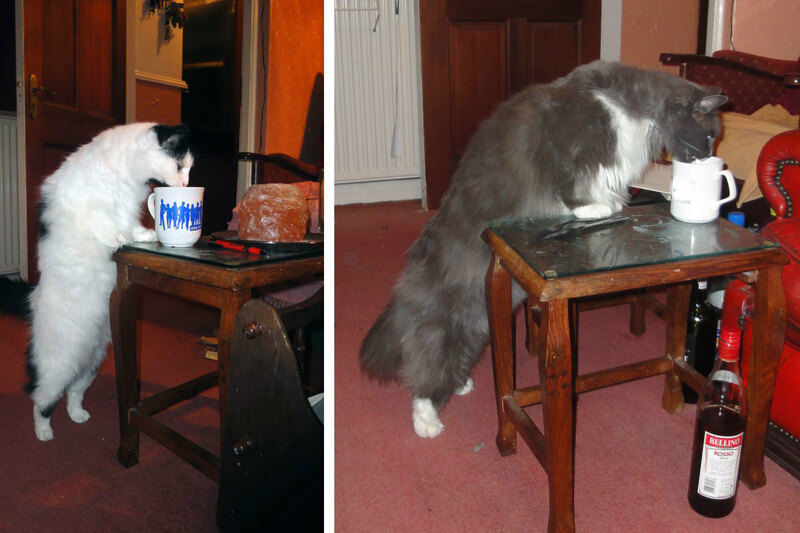 Our cats drinking from mugs. 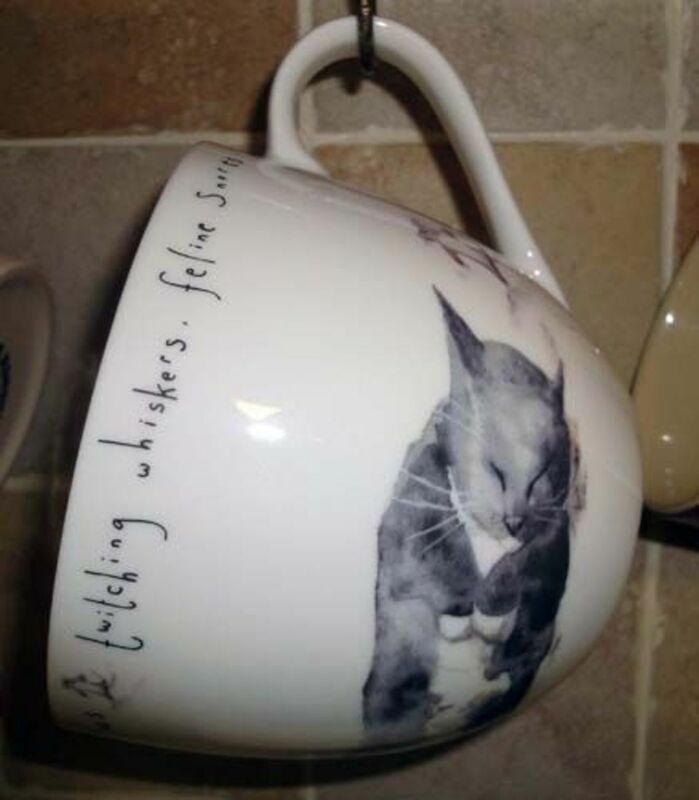 Decorative picture of the Cheshire Cat on the side of the mug with a small image of Alice underneath and the word Alice in Wonderland to the side. This article showcases some of our personalised, novelty, cute and funny mugs, offering tips and ideas on how you may build your own collection of collectable, décor and functional mugs to entertain and amuse when you, your family and your guests sit back and enjoy a quiet or sociable hot drink together. We started with matching mug sets and initially as mugs broke we replenished them with other matching sets until we ended up with an odd assortment of what was once matching mugs. As this collection dwindled so we slowly replaced them with novelty, personalised, cute and funny mugs; ending up, as shown below, with a cute collection of novelty and personalised mugs; which are always a pleasure to drink from. 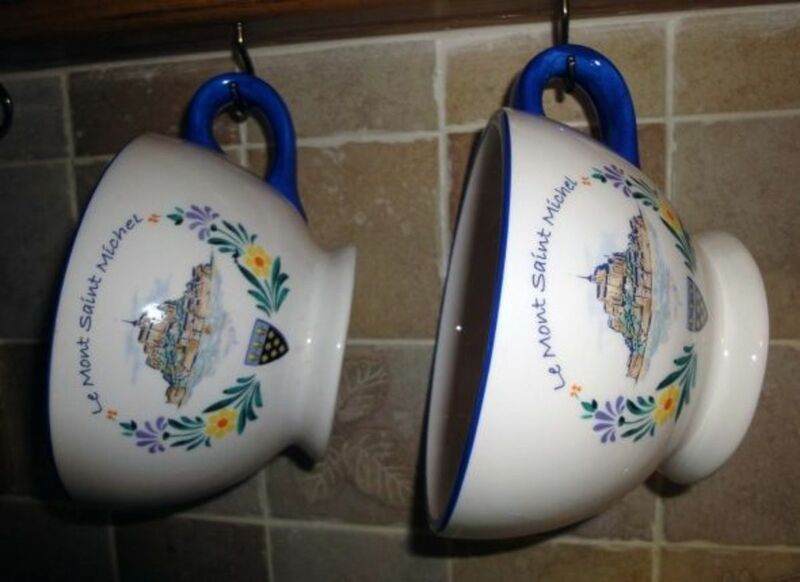 Some of the mugs in our collection are memorabilia from holiday trips such as the two pint size matching mugs from our trip to Le Mount Saint Michel and the Firepower mug, with a miniature cannon ball in the handle, from when we spent a day at The Royal Artillery Museum in Greenwich, London. 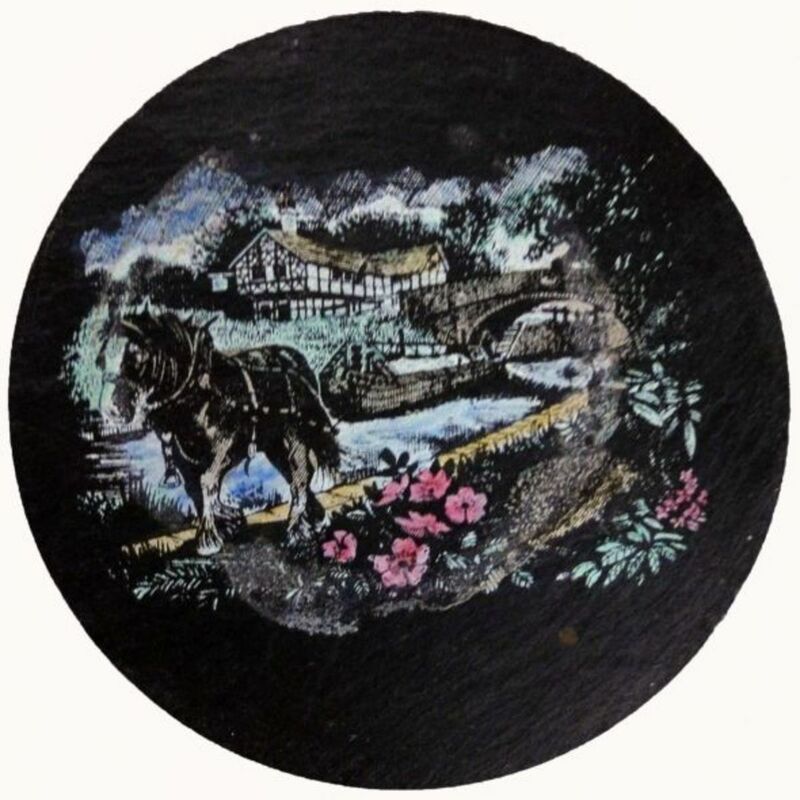 The cannon ball is fixed to the handle with a wire through the middle so it actually spins, if you spin it with your thumb; so it can act just like one of those executive anti-stress toys if you want to unwind at the end of a busy day. Some of the mugs were free gifts, some promotional and some unbranded, such as the chocolate, hot chocolate and hot coffee mugs, and the rest were gifts bought for special occasions such as birthdays and as Christmas gifts. 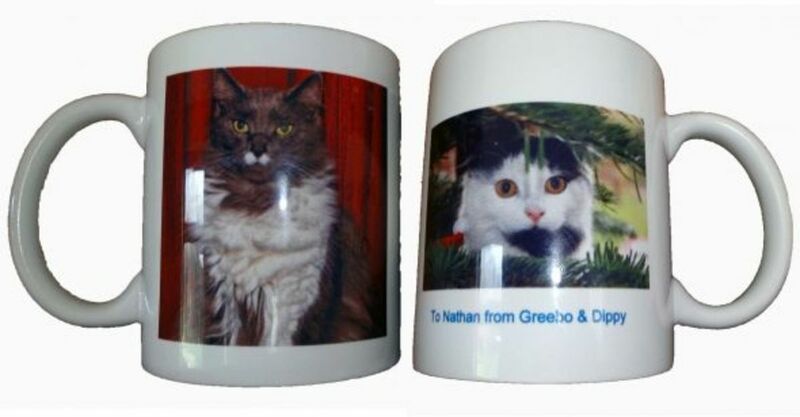 These can be memorabilia such as the Dr Who mug, funny faces or just funny and cute, or they can be personalised. We adore cats as seen from the showcase of our collection, including the personalised cat mug, in this review article. If you love cats then you'll love these cute, humorous and colourful feline mugs. Our Name is Mud “Catffeine” Stoneware Mug, 16 oz. Popular Hand painted stoneware with Catffeinated printed on the front and Decatf on the back; each of these words with a black cat underneath, one wide awake and the other asleep; gift boxed. I think personalised gifts are something special. 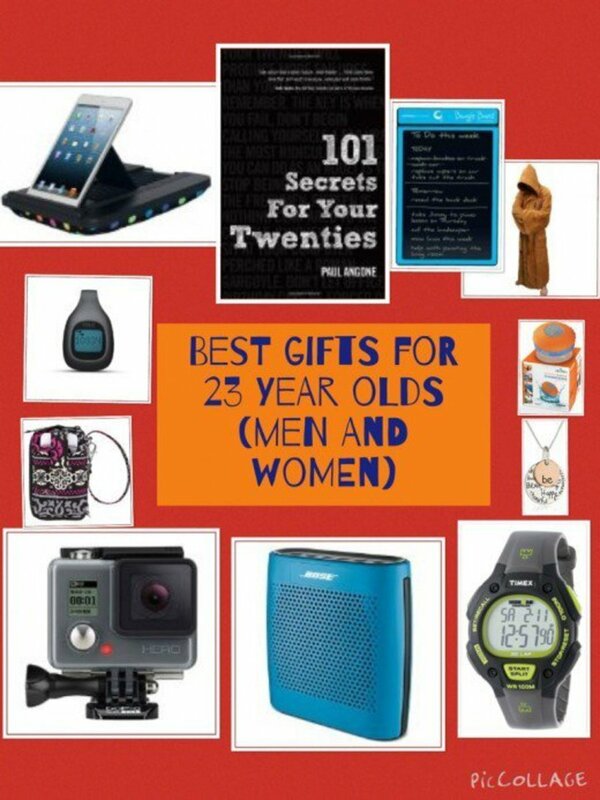 It shows thought rather than just buying something of the shelf and makes great keep-sakes. 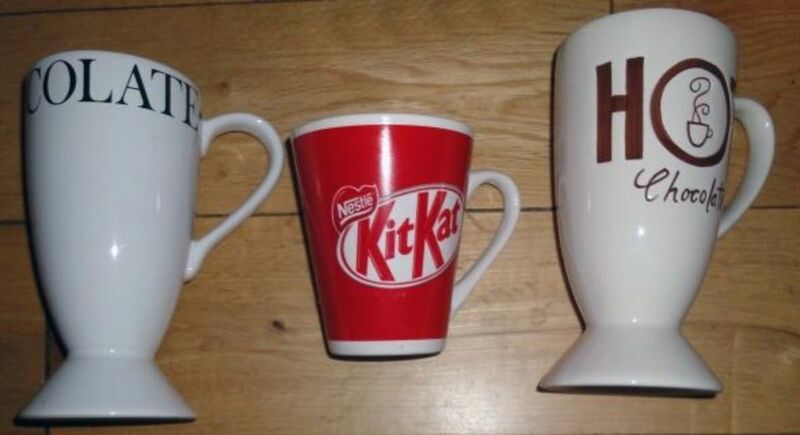 Below is a selection of personalised mugs in a variety of materials and styles to suit all tastes; my favourite being the china mug similar to the one showed case in this article. 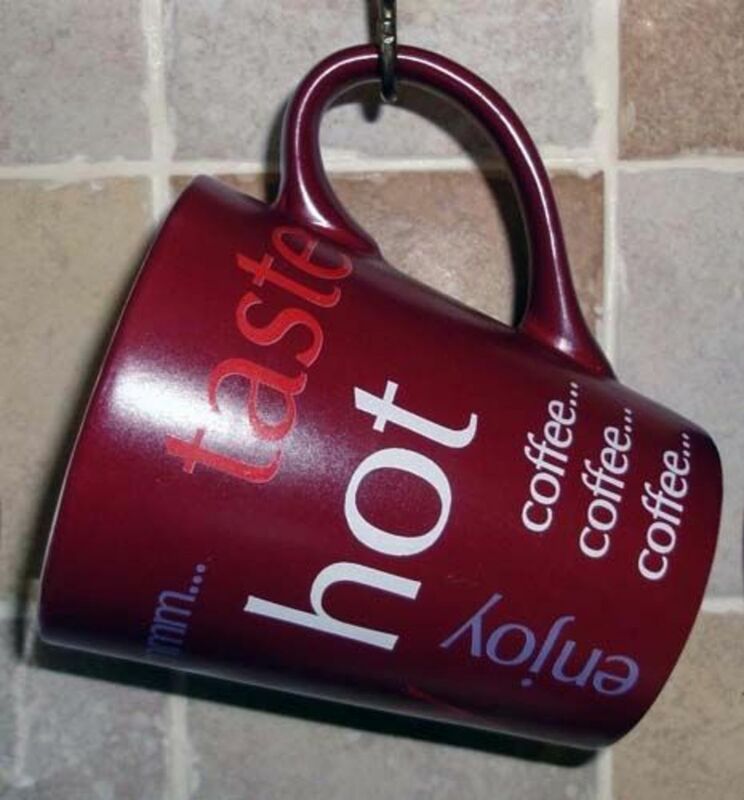 Personalised photo mug, similar to ours showcased in this review article. 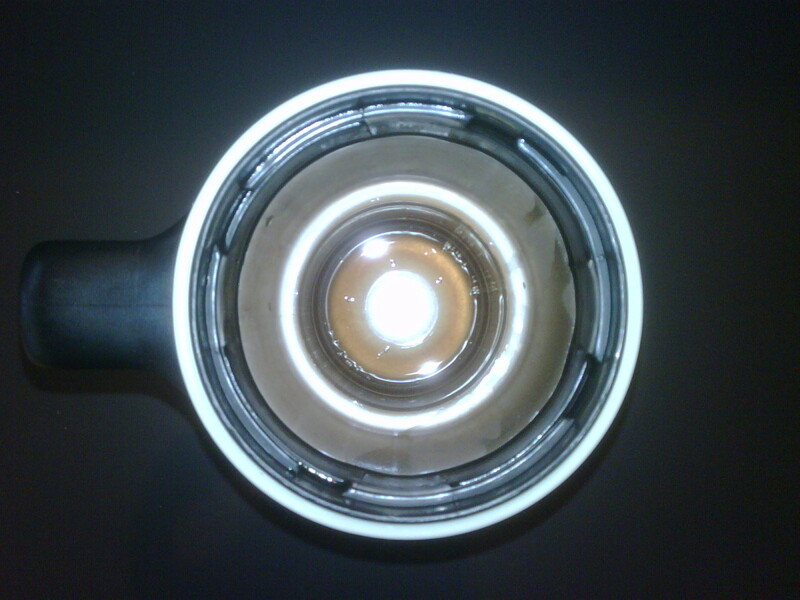 Once you’re order has been placed the company contacts you to send them the photo which you want printed on the mug. 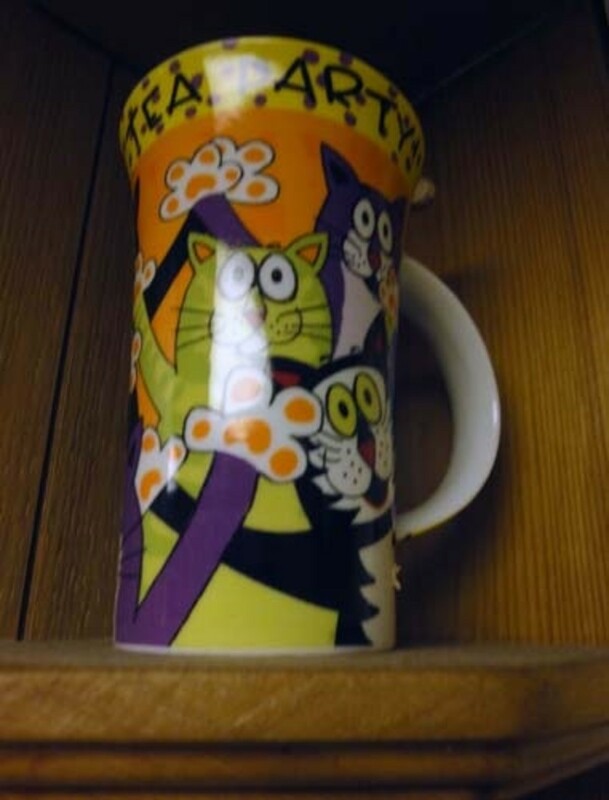 This is one mug in our collection that will remain on display and not get used, a personalised mug from our cats to our son. The Dippy and Greebo mug was a bargain, surprisingly; usually you expect to pay a lot for something personalised like this. 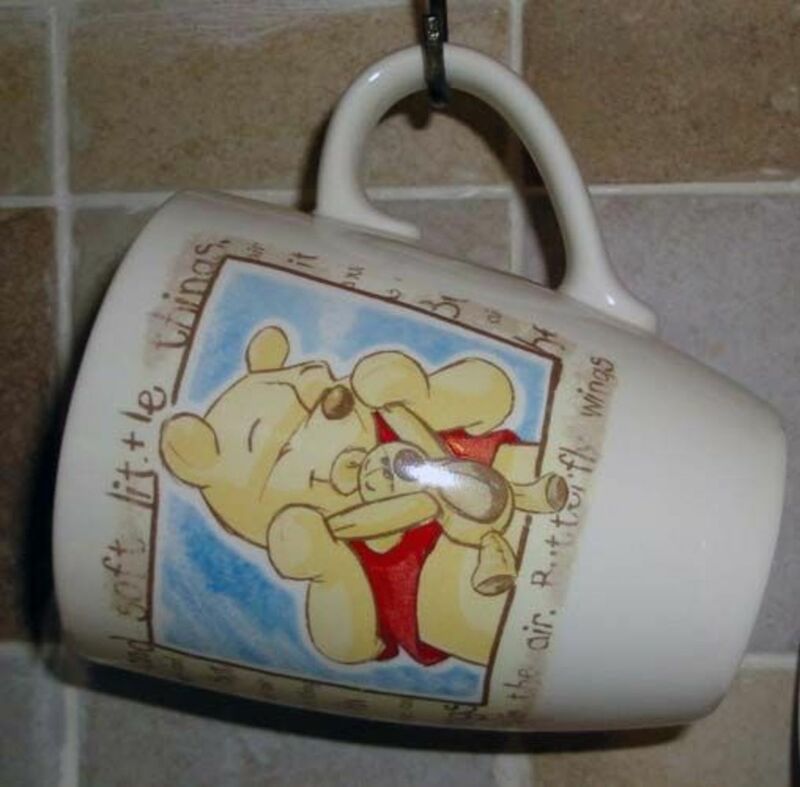 My wife saw the offer for personalised mugs on offer a couple of months before Christmas for 15 plus postage and package and was tempted at the time. However she didn't know which photo to submit and left it for a while and with other things cropping up forgot about it. Then just two weeks before Christmas she remembered again and asked me to help her choose an appropriate photo for the mug; which I did. Then when she went back onto the website they were offering the personalised mugs free with just postage and package to pay, sounds too good to be true and usually such offers are so she asked me to check it out for her first; on inspection everything seemed genuine enough so we proceeded with caution. 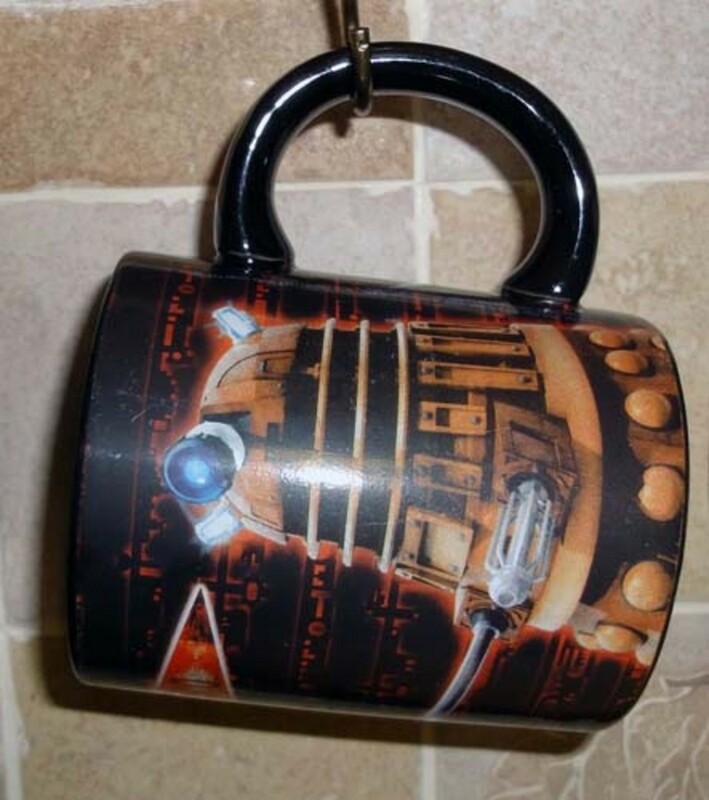 Having uploaded the photo for the mug as instructed by the website we had an offer to upload a second photo for the reverse side for a nominal fee of just under 3, which is still good value for money; and a bargain. 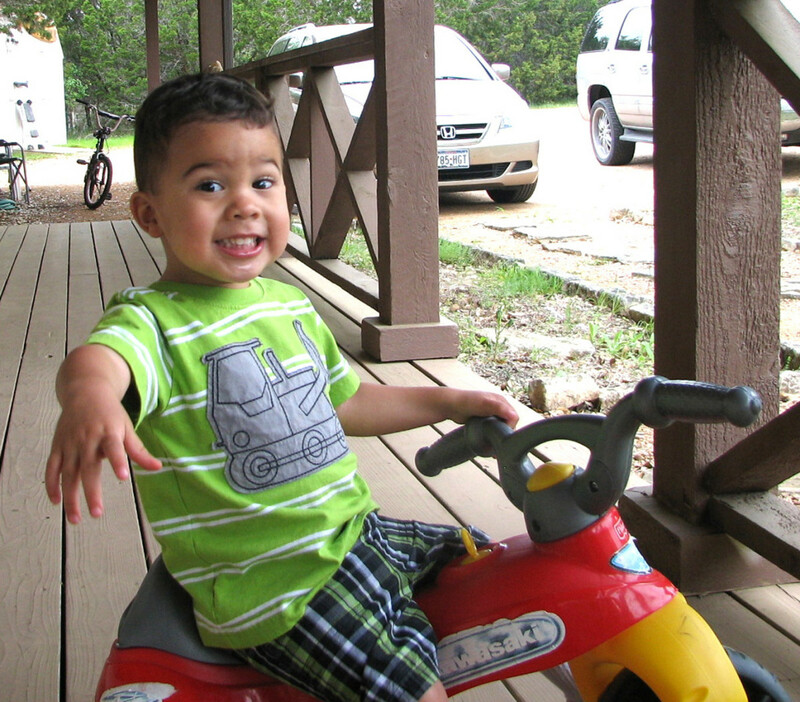 So we uploaded the second photo and proceeded to the secure payment and delivery sections. Before final payment the default setting was a 25 charge for guaranteed currier delivery within three days, to arrive in plenty of time before Christmas. Rather than accepting the default setting we opted for the standard second class postage with no guarantees for just a couple of pounds; so the whole cost for the personalised mug was less than 5 which is a lot cheaper than most novelty and memorabilia mugs in England. The following day we received an email from the company giving us a gentle reminder that by opting for standard postage our order was a low priority and that there was no guarantee that it would not be dispatched for up to three weeks, which would be after Christmas; so we weren't expecting to arrive any day soon. Obviously, giving the personalised mug free so close to Christmas meant they were making their money primarily from charging for the courier service for those who opted for it; which I assume is a good business strategy for the company if enough people opt for this service. 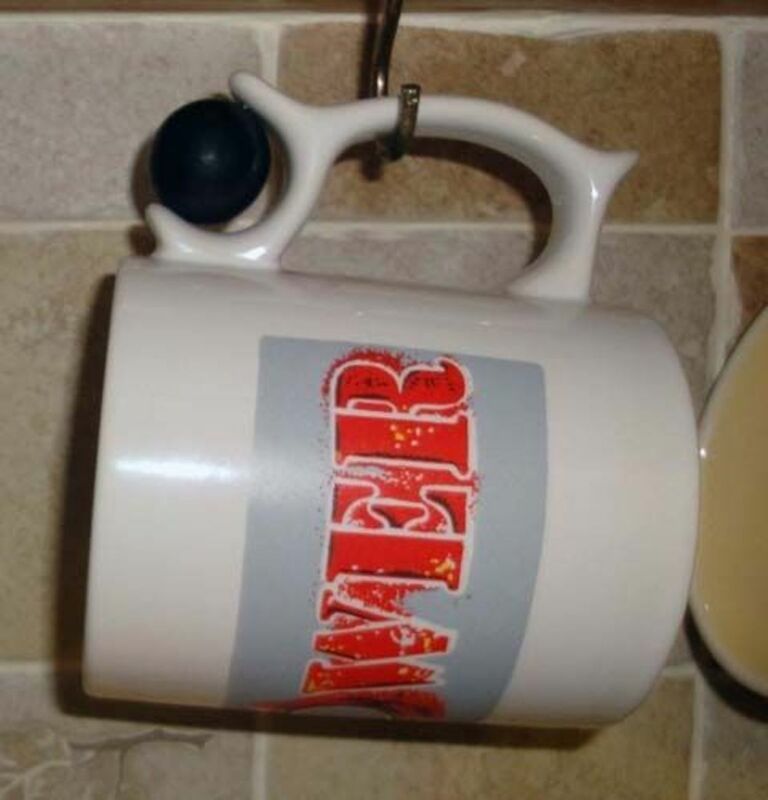 In any event, having opted for the slow mail second class postal service and being warned that it may take up to three weeks for delivery we were pleasantly surprised when the personalised mug arrived just three days after we placed our order; and in plenty of time for Christmas. So three cheers to a company who gave us a good prompt and honourable service; the world would be a better place if all companies were like this in providing a good and efficient service. You could say that all these mugs are decorative, memorabilia and keep sake mugs and should be on display in a display cabinet or on a display shelf rather than in daily use where they risk being accidentally broken. My view is that something has greater value if its functional as well as decorative and therefore I like most of the mugs to be hanging up on the cup hooks in the kitchen and used as required until they get broken. In reserve the most appealing mugs, for me the garden mug, are on display shelves until it's their turn to go into circulation and be used. For us to keep a mug on display and not use it the mug needs to be really special, and exceptional; almost invariably a personalised mug. 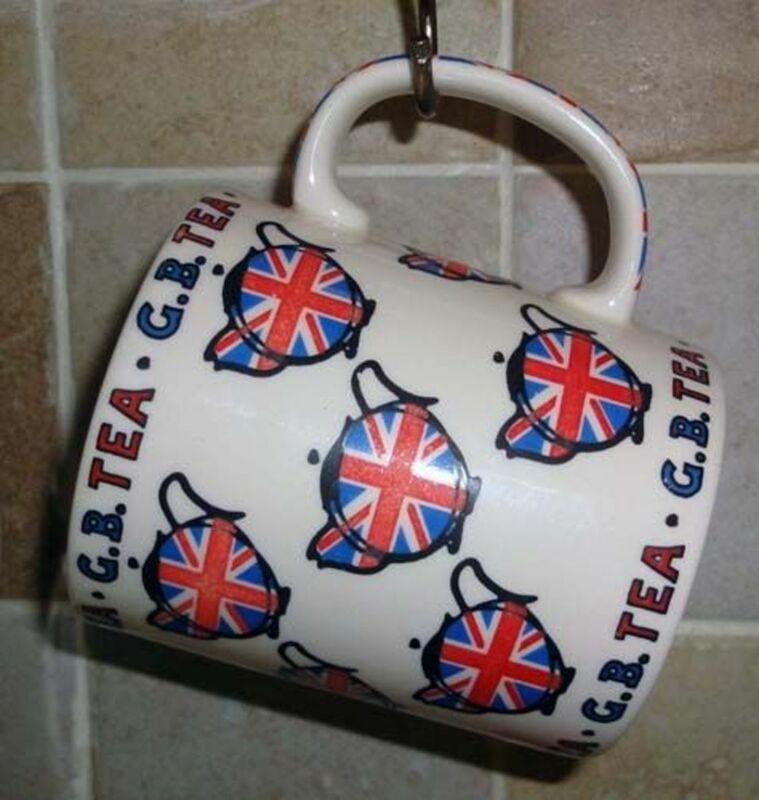 The genre of mugs we have are cute, such as the bear and cat mugs, humorous such as the garden and work mugs, memorabilia from holiday trips, novelty such as the funny faces mugs or just promotional which may just be as simple as products such as tea, coffee and hot chocolate or promoting a branded product, company or place. 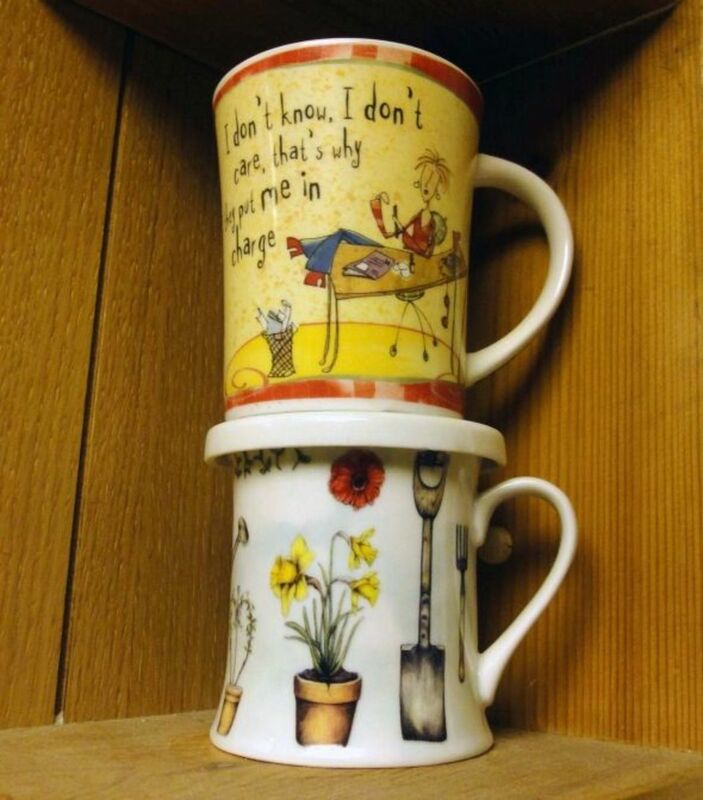 Mugs come in all shapes and sizes from very small to the typical half pint or the very large pint size or larger. Normally a half pint of coffee is just right, occasionally if I'm feeling particularly thirsty or I fancy a long relaxing hot drink then I'll plump for one of the pint size mugs. Our preference is for mugs rather than cups as cups are only a third of a pint or smaller and hardly more than a taster; two sips and its gone so to speak. 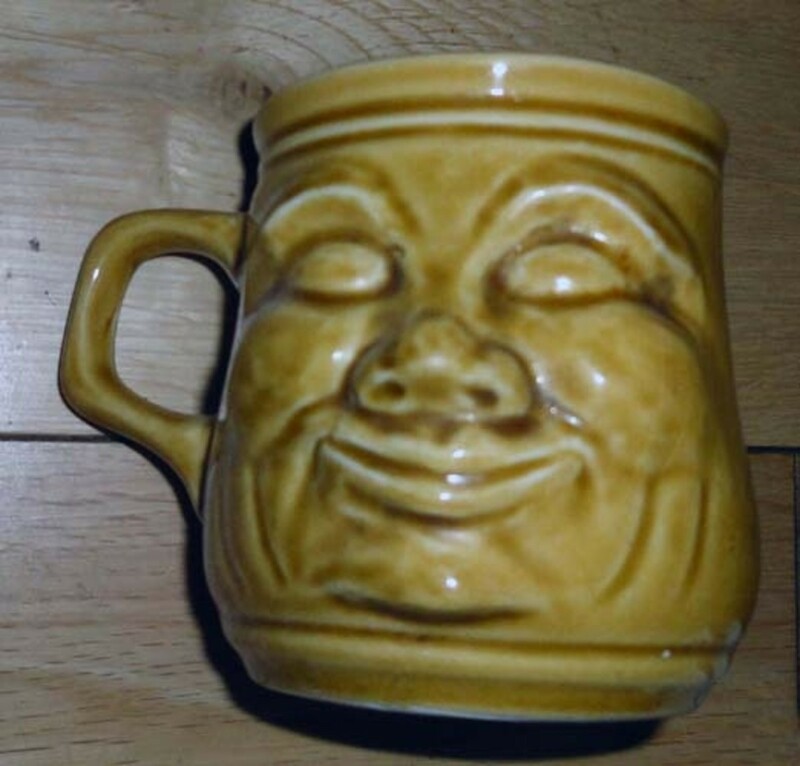 Do you prefer drinking from a cup or a mug? I prefer cups; give me a teacup and saucer anytime. Mugs are for me as they hold a descent size drink. 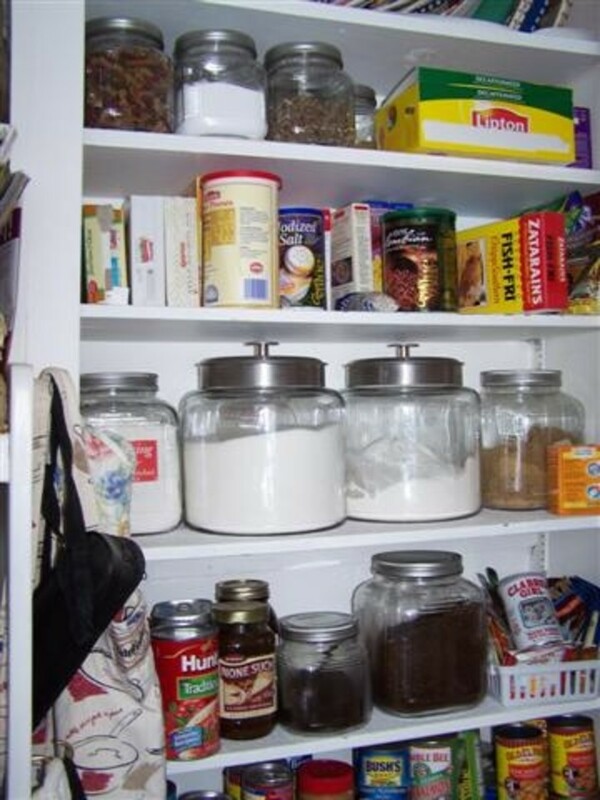 How To Organize And Keep Pantry Clean Plus Keeping Bugs Out Of Food. Thanks all, yes it is fun, and practical too. You had me smiling in the intro as you bring us all together with the remnants of our mug sets now among those with more personality. I love that the cats even got into the act and the postal service got it there in record time for the season....we used to have out pets give gifts too. 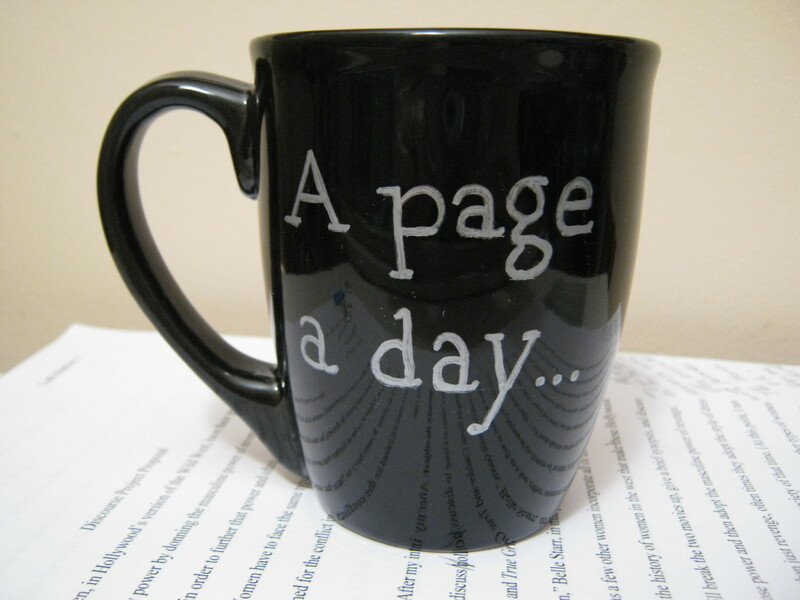 As always, delightfully done and now I see my mug is empty...heading for the coffee pot. I just discovered more great mugs tucked under the guest book! 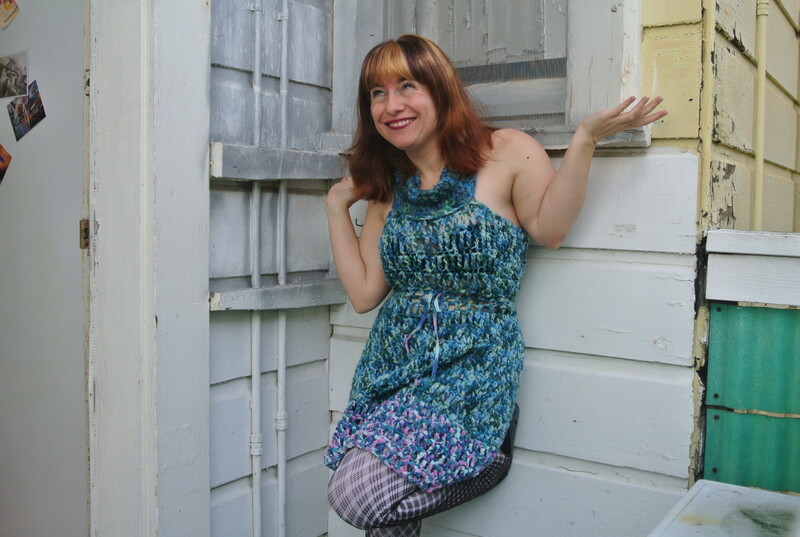 From pretty to elegant to just plain fun - what a great selection!